Caring for someone with a chronic illness: What does it mean to “Watch”? We are those who Watch. We are the family members, the friends, the spouses, the work colleagues of individuals with a chronic illness. That illness may be physical or mental. It may be recognized or undiagnosed. It doesn’t matter. What does is that we have been called to love and Watch someone who is suffering. I was searching for a word that was all-encompassing. I wanted to avoid the label ‘carer’ or ‘caregiver‘ – which has connotations of being paid and seems constrained to mere physical care of another. Physical care is invaluable and many of us may provide this for our Loved Ones. Yet others of us do not. It may not be our place, our role, or it may not even be necessary. Nevertheless, our life is still entwined with our Loved One. We wince as they wince. We struggle with the fact that we can’t heal them. We get frustrated over the fact that sometimes we can’t make the situation better, or even more bearable. In short, we Watch. What does it feel like to Watch? To Watch is to be helpless, and this is painful and even embarrassing. It is even harder because we didn’t choose to Watch. Perhaps we were born into a family where one of the members was already sick, or perhaps they became so as we grew up with them. Perhaps we fell in love with someone, or began a friendship and then sickness came. Or perhaps we knew about it already, but still there was no choice because there was no sickness-free version of them available. And so we walk beside them, or in front of them, or behind them. We cannot choose to walk a mile in their shoes, as the common saying goes. Even that is denied us. There’s nothing we can do except Watch them suffer. We Watch them and no one watches us. We Watch them struggle, and attempt to communicate their ups and downs to others around us. We fail often, because there are no words. Meanwhile we suffer too. Vicariously, yes, as we see them go through agony, but in our own right also. Because there’s nothing easy about Watching. It’s not some exclusive club. In a sense everyone is a Watcher, at some point of their lives. And we Watchers know only too well that there’s nothing heroic about suffering. Nothing distinguished about Watching. This is not because it’s hard, because there are plenty of miseries that are heroic, plenty of hard things that are worth applauding. 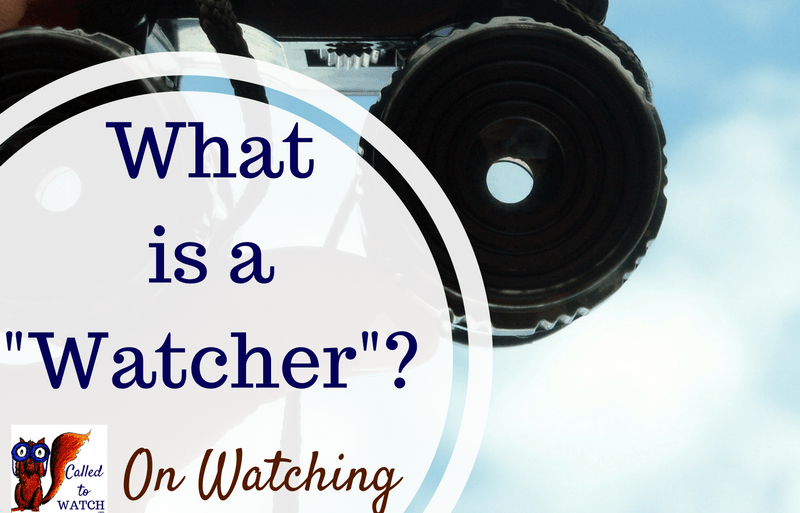 The reason there’s nothing special about being a Watcher, is that it’s simply part of life. There are so many illnesses, so many burdens. No person’s load – or pair of shoes, if we are to continue the analogy – is the same as another. And so all people Watch, but all Watchers are always alone. That’s such a large part of what makes Watching so hard. We all fear being alone, and illness just accentuates this. That is what this blog is for. 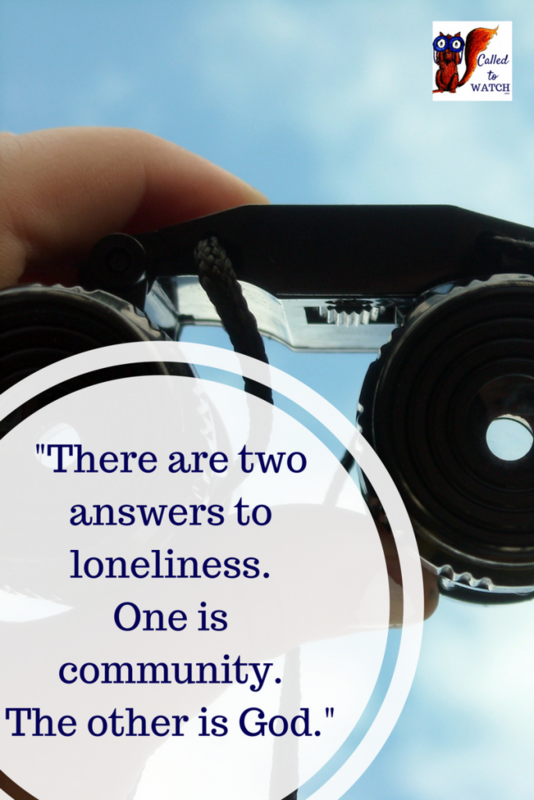 Because there are two answers to loneliness. One is community, the other is God. May this blog point us to them both. Why start a blog on Watching? Being a Watcher brings its own unique problems and its unique joys. It’s a journey that goes on and on – and encouragement is needed for the everyday. Furthermore, it’s a journey that begins and ends, and we need help for those times too. It’s also a journey that, like every journey, will at some point encounter God. This blog is about that too. I don’t have all the answers. Often I have none. I can’t guarantee that what I write here will help you. All I can pray is that these words will help you ponder your life as they have helped me ponder mine – and that your experience will be the richer for it. All I can hope is that they will provide a feeble sense of community and a less-feebler sense of God. //Do you think it’s right to put a label on what Watchers do? What do you think Watchers need above all else? Don’t be a silent reader – share your thoughts and leave a comment below!